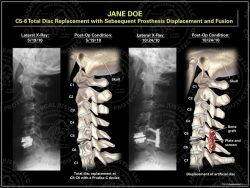 This exhibit illustrates the traumatic subluxation and fracturing of C6-7, with a severe spinal cord injury. 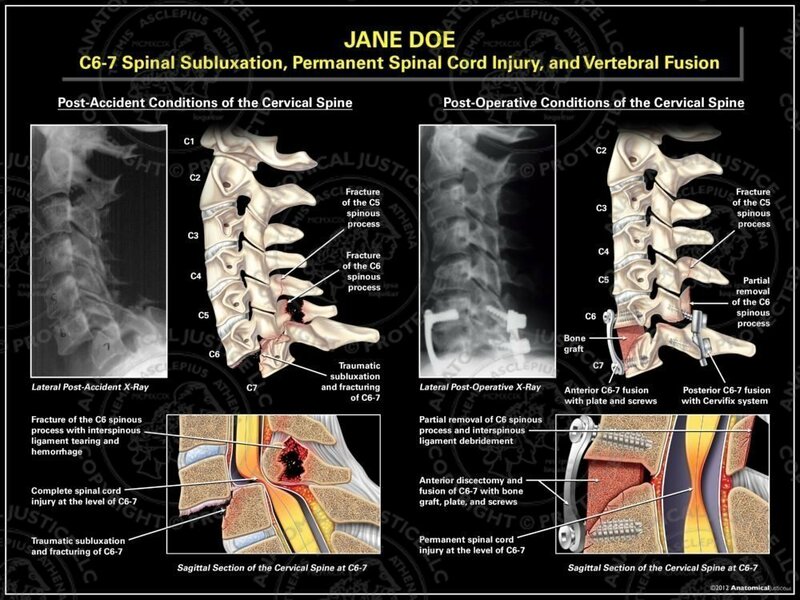 Post-accident conditions include: C6-7 subluxation with compression fractures, C5-6 spinous process fractures, interspinous ligament disruption, and a complete spinal cord injury at C6-7. 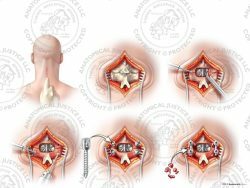 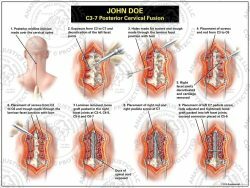 Spinal reduction was accomplished through anterior and posterior C6-7 fusion with graft, plates, and screws. 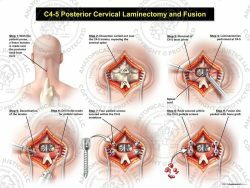 The interspinous ligament injuries were debrided, and the C6 spinous process was partially removed. 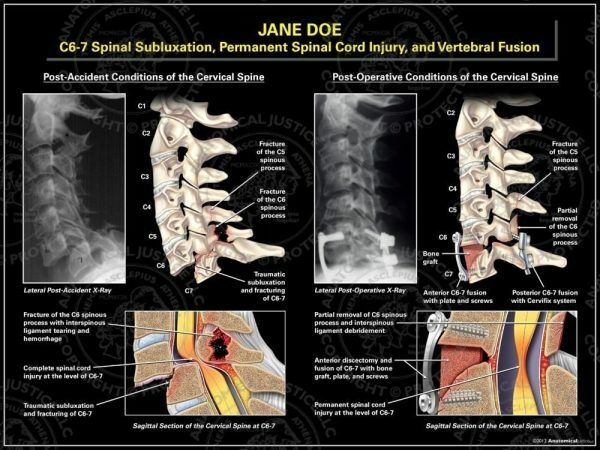 Spinal cord injuries were permanent, resulting in complete loss of motor and sensory function below the C6-7 level.